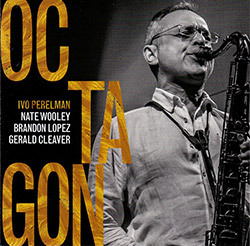 An inevitable meeting of New York luminaries, trumpeter Nate Wooley joins saxophonist Ivo Perelman with frequent sideman Matthew Shipp for an album of complex and sophisticated collective free improvisation, spectacular playing and like-minded conversation of incredible technique and lyrical innuendo; released with the quartet album "Octagon". 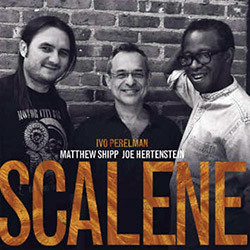 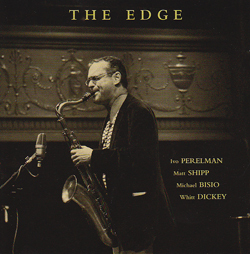 Scalene describes a triangle having sides unequal in length, but there's nothing uneven in the back and forth from the NY trio of tenor saxophonist Ivo Perelman, pianist Matthew Shipp, and new to Perelman & Shipp's many collaborations, drummer Joe Herteinstein, in a 10-part studio recording of energetic spontaneous improvisation with a strong lyrical center. 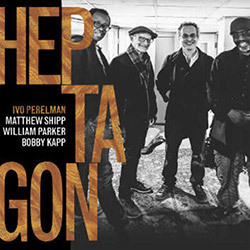 Releasing albums at a furious pace, Brazilian/NY saxophonist Ivo Perelman continues his collaborations with some of New York's finest players, here in a quartet with Matthew Shipp on piano, William Parker on bass and Bobby Kapp on drums, in the appropriately titled 7-part "Heptagon" of lyrical free improvisation of great intensity and dialog. 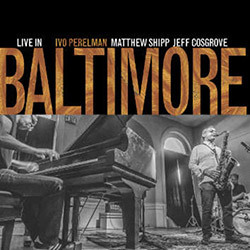 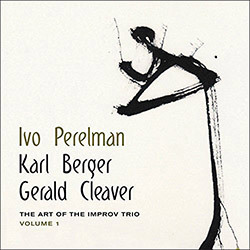 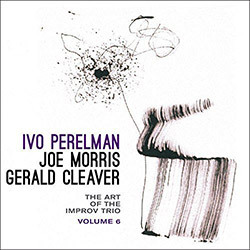 A rare live album from Brazilian-born/NY-based saxophonist Ivo Perelman, performing live at An Die Musik in Baltimore in 2017 in a trio with pianist Matthew Shipp and new drummer Jeff Cosgrove, for a single epic improvisation that takes the listener on an adventure from lyrical to energetic free jazz, all three players unhurried and absolutely focused. 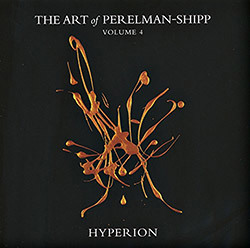 For more than 20 years Brazilian/NY saxophonist Ivo Perelman and NY pianist Matthew Shipp have collaborated in a diverse set of projects that have led to more than 30 albums; this 7th and final volume brings legendary drummer Andrew Cyrille together with the duo in a subtle album propelled by Cyrille's authoritative rhythms and superb interaction of all three players. 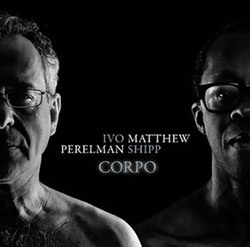 For more than 20 years Brazilian/NY saxophonist Ivo Perelman and NY pianist Matthew Shipp have collaborated in a diverse set of projects that have led to more than 30 albums; this 6th volume bring us back to the core, evoking the planet Saturn in a 10-part series of duos between these two masterful players, showing fire and angular playing in mid-tempo exploration. 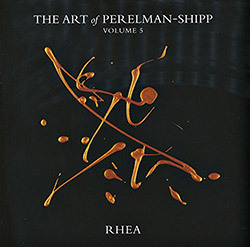 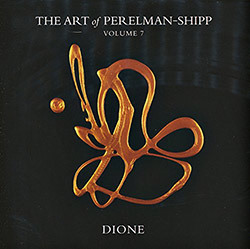 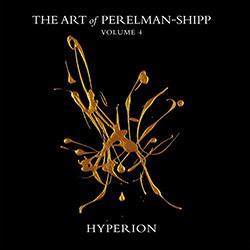 For more than 20 years Brazilian tenor saxophonist Ivo Perelman and New York pianist Matthew Shipp have collaborated in a diverse set of projects that have led to more than 30 albums; this second volume brings the duo together with legendary drummer Bobby Kapp, who's nimble and relaxed approach showcases himself and the duo of Pereleman Shipp with grace. 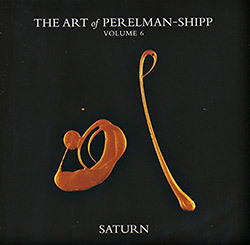 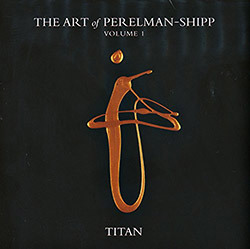 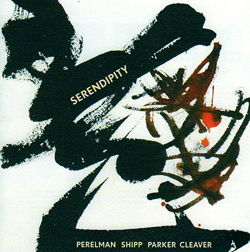 For more than 20 years Brazilian tenor saxophonist Ivo Perelman and New York pianist Matthew Shipp have collaborated in a diverse set of projects that have led to more than 30 albums; this first volume of 6 albums brings the two together with frequent collaborator William Parker for a 6 part work, fittingly dedicated to Saturn's largest moon, "Titan". 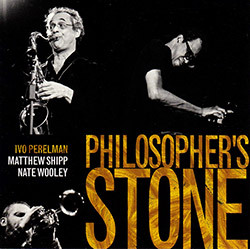 After many years working together in the vital Downtown NY scene, saxophonist Ivo Perelman and Matthew Shipp take their playing the next step after their previous duo "Callas", in thoughtful improv that expresses in both their mutual language and masterful skills. 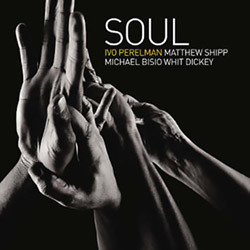 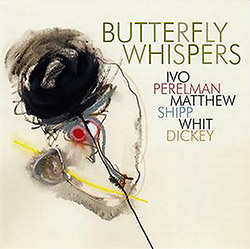 The long�running duo of NY pianist Matthew Shipp and Brazilian/NY saxophonist Ivo Perelman forms the basis for this excellent quartet, with mainstays Michael Bisio on bass and Whit Dickey on drums, in an expressive and soulful album that balances enthusiasm and brilliant restraint. 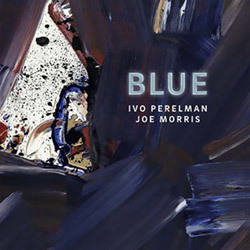 Referencing the color "blue" rather than the blues themselves, the duo of New York tenor saxophonist Ivo Perelman and Joe Morris on acoustic guitar present free improvisations balancing technical and melodic musings, an intimate and thoughtful album of concentrative playing. 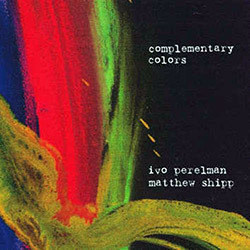 The long-standing partnership of saxophonist Ivo Perelman and pianist Matthew Shipp take color, with each track taking the name of a hue, mixing shades through free improvisation of subtle grace in a masterful dialog that only two such complementary players can present. 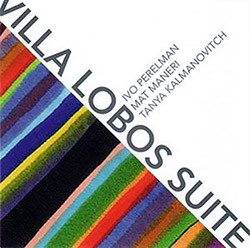 Ivo Perelman pays tribute to Brazilian composer Heitor Villa-Lobos through free improvisation, enlisting two violists--Mat Maneri and Tanya Kalmanovitch-for a uniquely orchestrated set of recordings with Perelman emulating and complementing the strings in engaging ways. 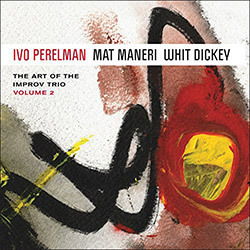 Saxophonist Ivo Perelman suggests the listener use the titles of these improvisations to create their own narratives for the fluid and oratory overtones of these lyrical instant compositions, performed with drummer Whit Dickey and pianist Matthew Shipp. 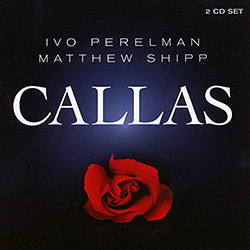 A collection of performances by tenor saxophonist Ivo Perelman and pianist Matthew Shipp, each piece named for characters from arias sung by Greek opera vocalist Maria Callas, 16 lyrical free improvisations as Perelman evokes Callas' distinctive voice. 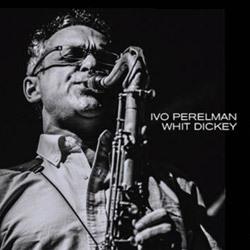 Brazilian-born, New York tenor saxophonist Ivo Perelman in a duo with drummer Whit Dickey for an extraordinary album dedicated to and with pieces named for saxophonists Hank Mobley, Ben Webster, John Coltrane, Albert Ayler and Sonny Rollins. 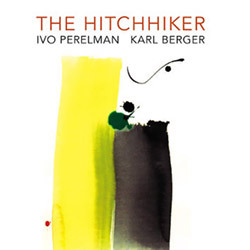 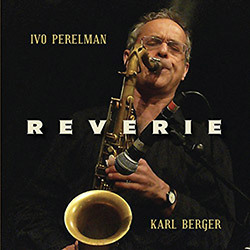 Celebrating Ivo Perelman's 25th anniversary as a recording artist in a duo with legendary vibist Karl Berger (here on piano) for a special recording brimming with lyricism and a unique mix of virtuosity, wild abandon and romance. 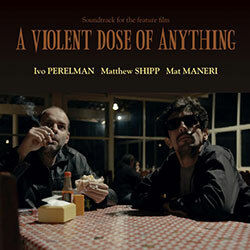 Saxophonist Ivo Perelman leads the trio of pianist Matthew Shipp and violist Mat Maneri in a soundtrack commissioned by Brazilian film director Gustavo Galvao for his feature film of the same name, performed by the trio as they improvised to the film on screen. 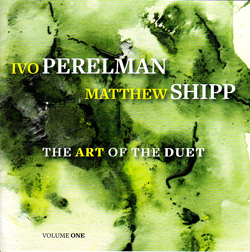 The first of three duet volumes between New York players Ivo Perelman on saxophone and pianist Matthew Shipp, intelligent, attuned, and captivating dialog between two close collaborators. 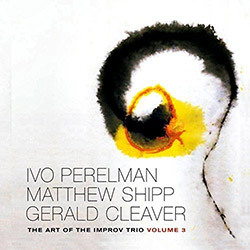 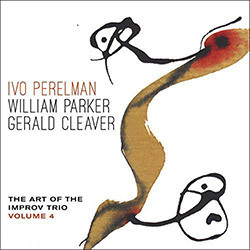 The trio of saxophonist Ivo Perelman with pianist Matthew Shipp and bassist Michael Bisio (both part of Shipp's trio) in an explorative album of creative, energetic, and melodic jazz. 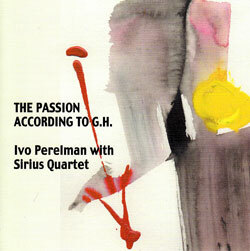 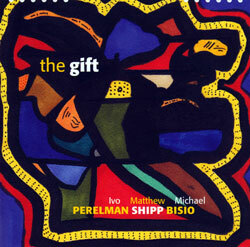 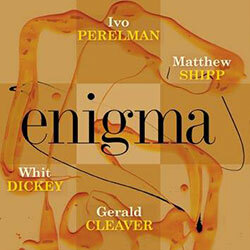 Perelman, Ivo with Sirius Quartet: The Passion According To G.H. 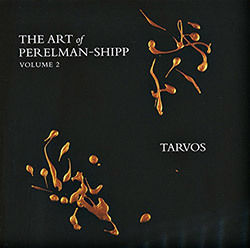 Saxophonist Ivo Perelman and the string ensemble Sirius Quartet create a passionate album of free improvisation that is at times fierce and others delicate, all the while remaining extraordinary. 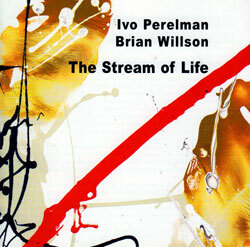 New York drummer Brian Willson and saxophonist Ivo Perelman continue their collaboration with this release of great warmth and musical substance through 11 Pereleman compositions. 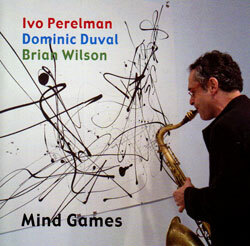 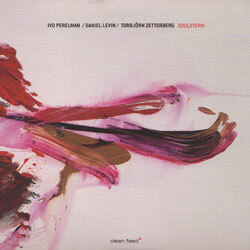 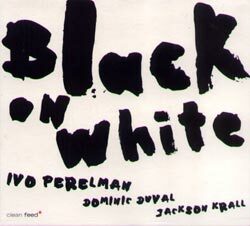 This recording with Dominic Duval on bass and Brian Wilson on drums marks the 20th anniversary of Ivo Perelman's recording career: passionate jazz that balances free jazz with music from his homeland. 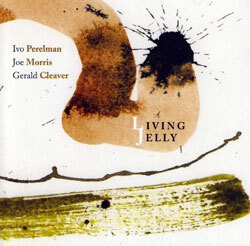 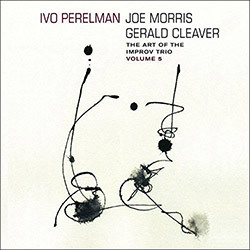 Saxophonist Ivo Perelman in a trio with cellist Daniel Levin and bassist Torbjorn Zetterberg, impressionist and lyrical free playing in a uniquely textured chamber jazz. 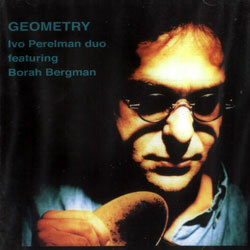 A meeting in Brooklyn in 1996 of these two monsters of avant-jazz as saxophonist Perelman and pianist Bergman tackle these difficult and passionate pieces.